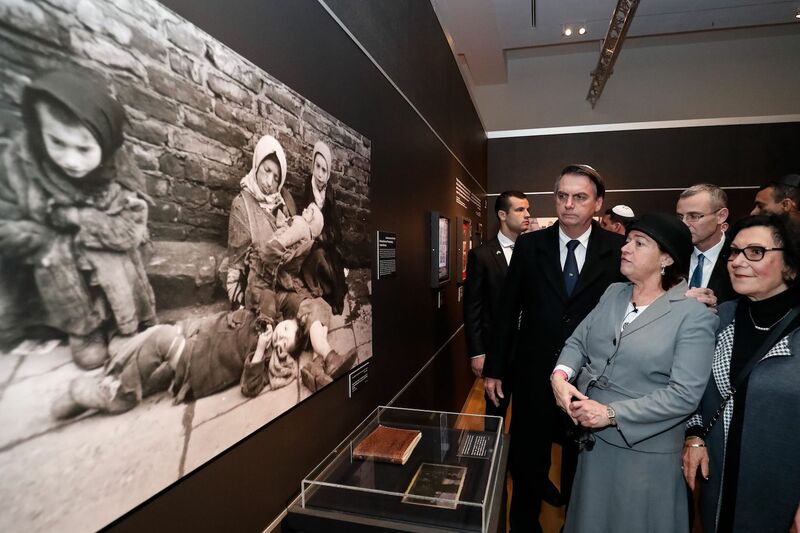 Officials at the Yad Vashem Museum, visited by Bolsonaro during his four-day visit to Israel, criticized statements made by Brazil's President. SÃO PAULO, BRAZIL – Less than a month after visiting Israel, Brazil’s President, Jair Bolsonaro, has angered the Israeli President Reuvlen Rivlin and Jewish entities by suggesting that the Holocaust should be forgiven, however, not forgotten. According to Rivlin, politicians should not interfere in the history terrain. “Political leaders are responsible for shaping the future. Historians describe the past and research what happened. Neither should stray into the territory of the other,” he added. Earlier this month, Bolsonaro took a four-day visit to Israel, at the invitation of Prime Minister Benjamin Netanyahu. During the trip, he visited the Yad Vashem museum. Over the weekend, museum officials criticized President Bolsonaro’s statement about the Holocaust. “We disagree with the Brazilian president’s statement that the Holocaust can be forgiven. It is not in anyone’s position to determine if Holocaust crimes can be forgiven,” says a statement issued by the Yad Yashem museum, also known as the World Holocaust Remembrance Center.